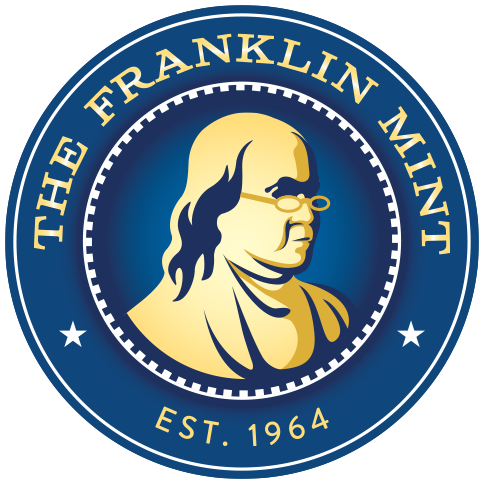 During World War II, the U.S. Mint made changes to the nation’s coinage to help the war effort. Copper was a vital metal that was used in the production of bullets and shell cases for the U.S. military overseas – so instead of using new copper for Lincoln Pennies, the Mint recycled copper from used shell cases and used it to make Pennies in the World War II era. The shell cases were gathered from battleships and battlefields around the world and shipped back to the United States. The shell case Pennies were made only in 1944, 1945, and 1946. Starting in 1947, standard copper was used once again. These coins are a genuine part of World War II history, and they were last made over 65 years ago. 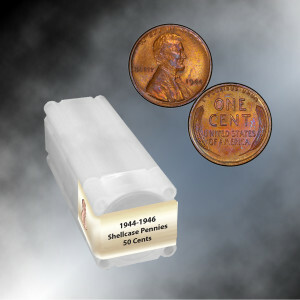 The complete roll includes 50 coins that actually circulated in America in the World War II era. The design of the shell case Pennies is identical to other Lincoln Pennies of the era: Abraham Lincoln on the obverse and the famous “wheat ears” design on the reverse. Dimensions: 9" x 4" x 1.25"